This Cat 5e cable is great for wiring your Gigabit Ethernet or 100Base-T computer network. It's also an excellent telephone cable, particularly for use with DSL service. 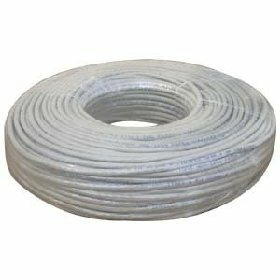 The grey PVC jacket bends easily and is easily removable for cable termination. Backwards compatible with Category 5 (Cat 5) cable, so you can mix this cable and Cat 5 cable in the same network.